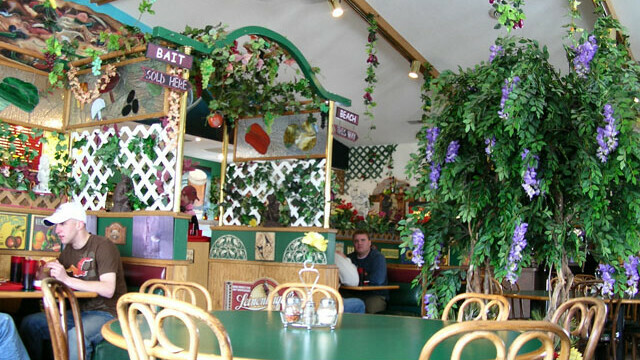 Godfather’s is the home of thick and cheesy pizza pies. Popular menu items include local favorite taco pizza (taco sauce, mozzarella cheese, cheddar cheese, beef, shredded lettuce, tomatoes, and onions). Weekday lunch buffet, private party room, delivery available, meatless pizzas available.